For some random reason I really love gyros. I tried my first one only a few years ago and have been hooked ever since. 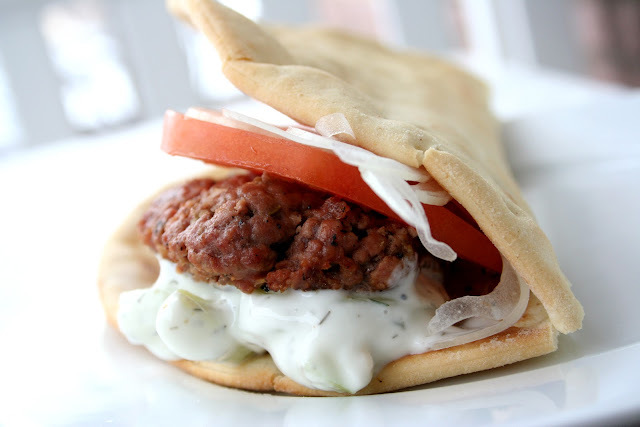 While I don't mind the traditional lamb gyro, I also really like this version with ground beef. Plus ground beef is a lot easier to find in your hometown grocery store. 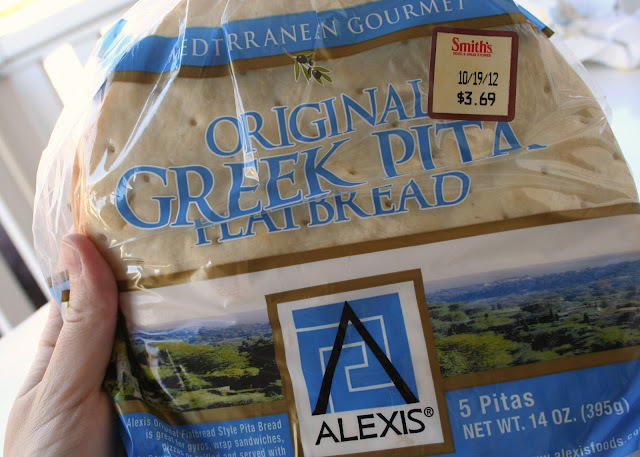 I used these pitas and loved them. I just found them near my grocery store's baked goods, but I'm sure they're in the bread aisle at other stores. The Tzatziki sauce for this recipe is fabulous as well. Overall it's just a great, easy way to enjoy a gyro at home. 1. Gently combine beef, garlic, onion, mustard, salt, pepper, vinegar, oregano and rosemary with your hands and shape into 4-5 oblong patties (they'll fit better in the pitas). Grill 5-6 minutes on each side and remove from heat. Allow to stand 5 minutes. 2. Toast pitas in a frying pan over medium-heat for about 30 seconds per side or under the broiler until warm and crispy. 3. 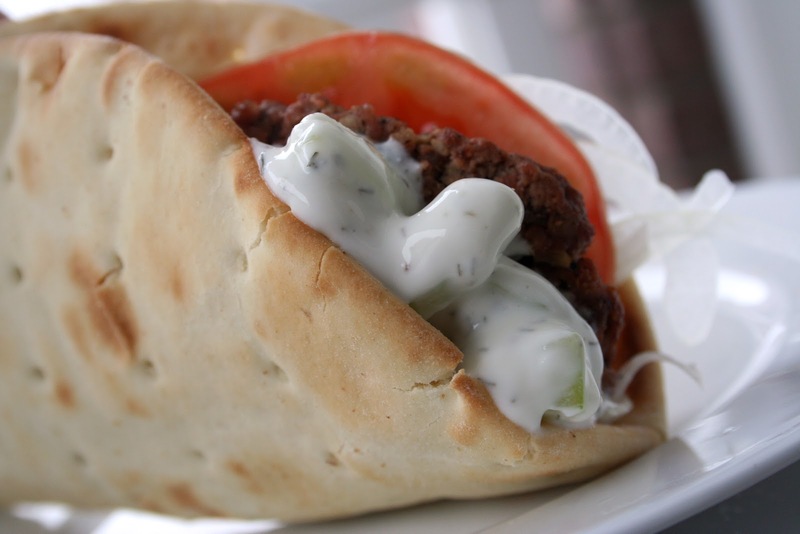 Place burgers on pitas and add onion, tomatoes, cucumbers, feta and Tzatziki. Fold like a taco and serve immediately. For easy serving and cleanup, wrap in aluminum foil. 1. Combine all ingredients in a small bowl and season with salt and pepper, to taste. Store covered in refrigerator up to 3 days.